A female velvet ant showing the black/red coloration typical of many species in Texas. 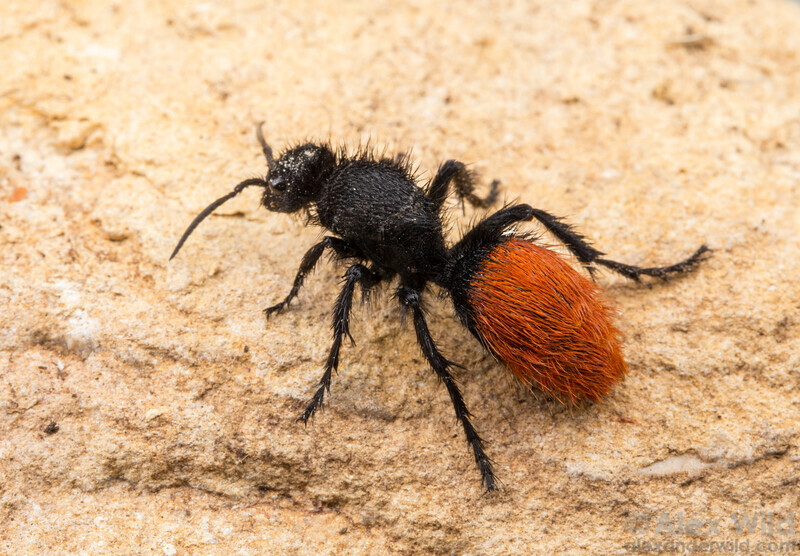 Velvet ant species often converge on similar regional color patterns. Elgin, Texas, USA.